This entry was posted in Activities, Data, Integrating Technology and tagged bar graph, Box and Whiskers, histogram, line plot, mean, median, mode by I Speak Math. Bookmark the permalink. I’m going to be using this idea during my data analysis unit in a few few weeks. 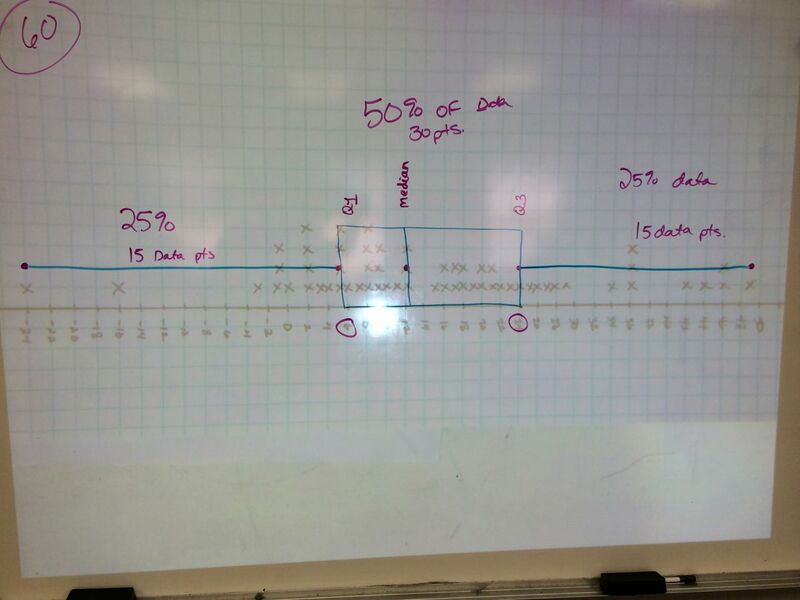 I like how you introduced the range and how students began to realize that it can include negative numbers. This can be tricky for some. 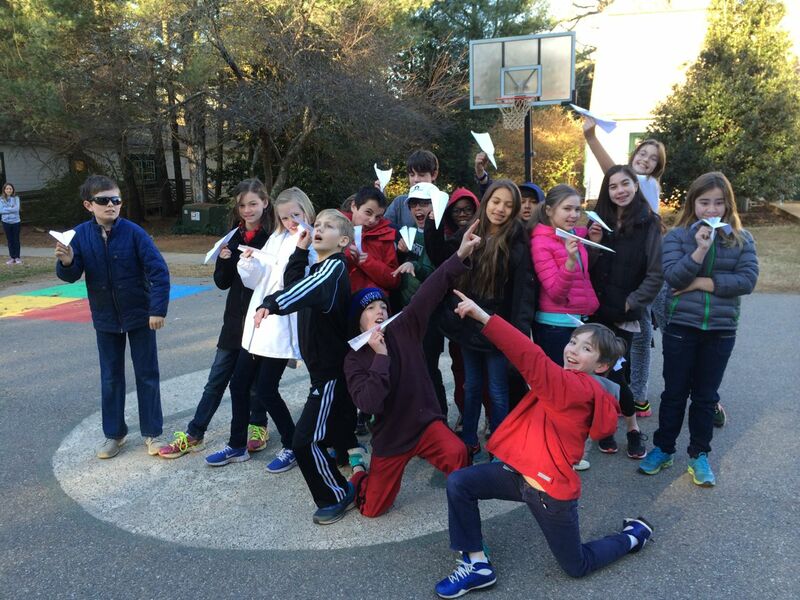 My class will be doing a similar activity once the snow has melted. Thanks for sharing. Thanks Matt. I would love to hear how it goes for you and what you do differently. Just pinned it. Thanks so much!! Super fun lesson here, Julie. Thanks for sharing. Can I ask about Google Forms? If there’s anything it didn’t do for this lesson that you wish it would do, what would that be? Hi Dan, thanks for visiting. 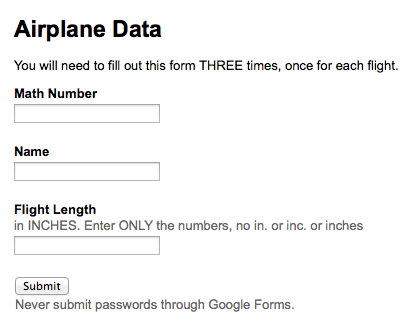 There is one thing that would help me out with Google Forms. When students enter data into the form, I cannot request a specific format for their input (as in “numbers only”). Instead, I include directions in the question. The directions in this form say, “ONLY enter the numbers, do not enter in, inc, inches…” However, some students still add the word in, inches, in., inc, and the ” symbol. Spreadsheets cannot calculate words so I have to go back and edit these entries before we can work with the data. Thank goodness for Find, Replace, but it still takes a while. The only other thing I have is when you edit a form to add a question, it puts that question in the last column in the corresponding spreadsheet, instead of where the question is in the questionnaire. Or, if you rearrange your questionnaire, the corresponding spreadsheet does not rearrange. This is important when I want my students to create scatterplots in Google Spreadsheets, because unlike Excel, the columns must be adjacent to each other. I can move the columns around once the data is entered, but that is an additional step I must do after the last student fills out the form, but before the students can work with the data. We often collect data and then begin working immediately so this sometimes creates a lag. Awesome Julie. Loved the human Box and Whisker. HS be damned…we’re gonna do it! 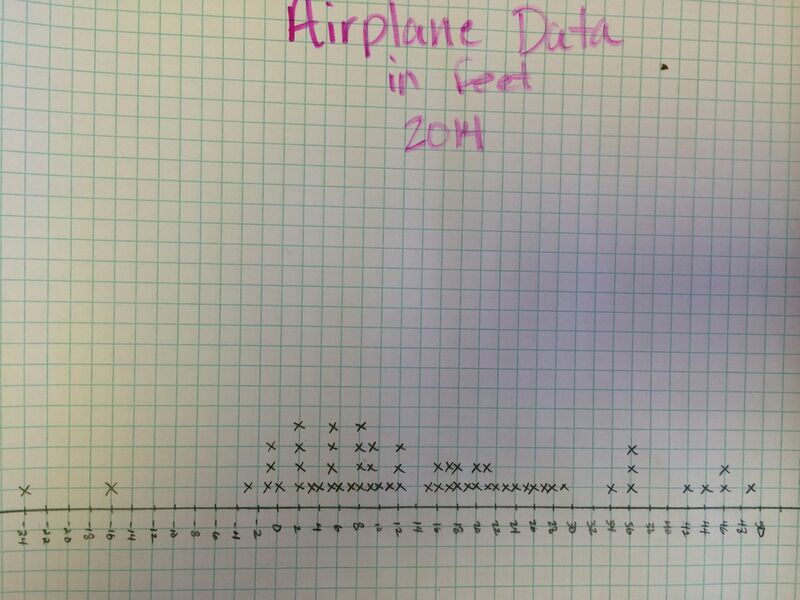 I love the line plot to box plot comparison!! This is such a comprehensive lesson that I will definitely be doing. One question; how did you have the students measure the length? We marked the ground with chalk then used tape measures.